Do you want to create a portfolio on your website? 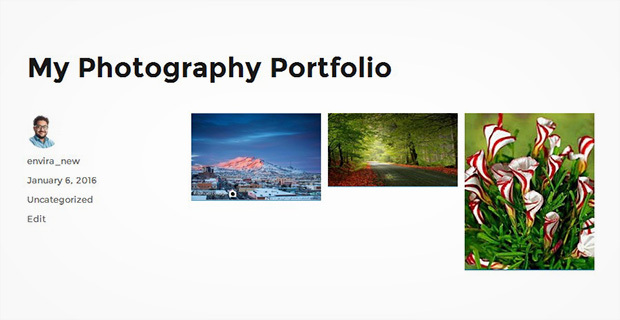 Adding a portfolio allows you to showcase your photography in a beautiful and elegant way. In this article, we will show you how to create a photography portfolio in WordPress. While there are many WordPress plugins that will help you add a portfolio to your site, most of them are not user-friendly and lack the necessary features. Envira Gallery is the best responsive WordPress gallery plugin which comes with over 25 addons, so you have all the features that you need to create an amazing portfolio. 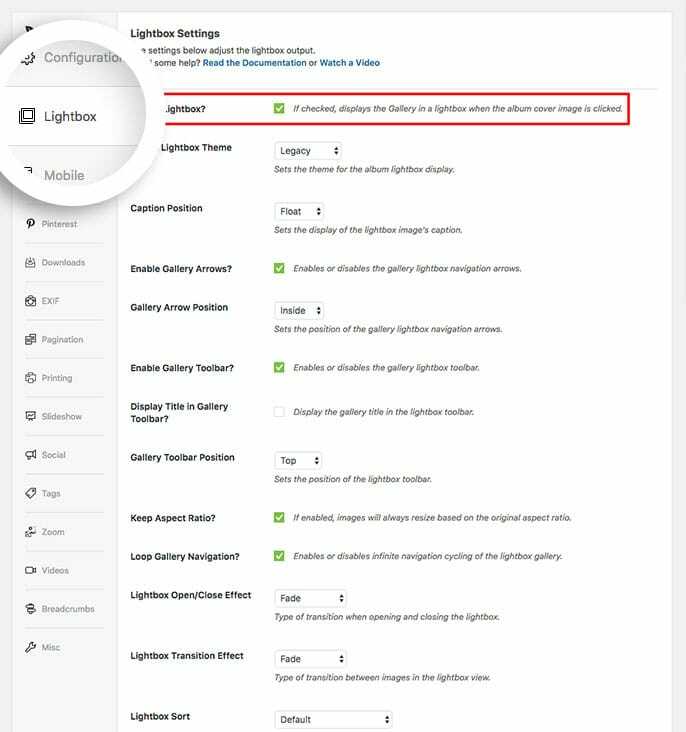 Upon activating the plugin, you need to go to Envira Gallery » Settings and verify the license key which can be found in your Envira Gallery account. If you need any help verifying the license key you can follow our guide on How to Verify Your Envira License. 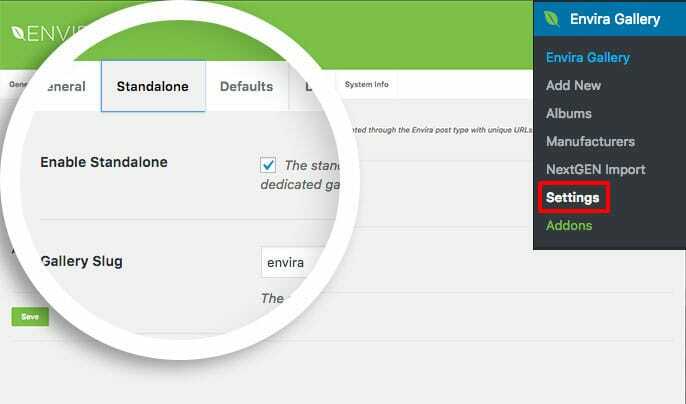 Once the license key is verified, you need to click on the addons tab to install and activate the Albums Addon and enable the Standalone feature for Envira. You are now ready to add a portfolio in WordPress. To start you need to go to Envira Gallery » Add New, and create a few image galleries using the photos you want in your portfolio. You can find further instructions in our guide on how to create image galleries with thumbnails. Once you have created your image galleries, you can now go to Envira Gallery » Albums, and click on the Add New button. You need to drag and drop your image galleries into the album. Creating an album is as similar as creating an image gallery in Envira. Now, you should go to the config tab and adjust the settings for displaying your portfolio in WordPress. If you want your portfolio to open in a lightbox, then you need to go to the Lightbox tab and enable it. Once you are satisfied with all the settings, you can press the Publish button. After publishing the album, you can copy the shortcode from the sidebar to paste into any post or page or by clicking the Add Album button on your post or just paste the shortcode from the album into the content area. After adding the shortcode, you need to click on the Publish button, and your portfolio will be ready. Here’s an example of how the portfolio will appear on your website. 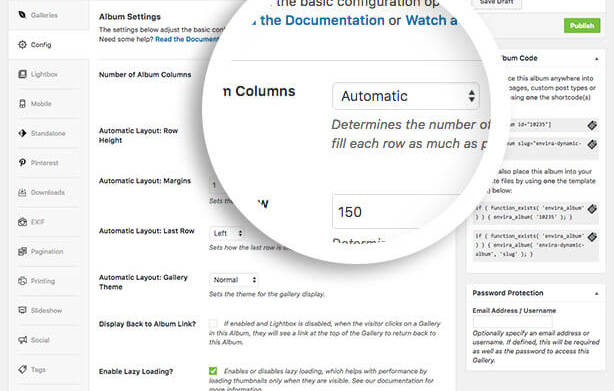 If you want to change any settings in your portfolio, like the number of columns, the space between portfolio items, and more, then you can change them anytime from your album’s config settings. We hope this article has helped you to understand how to create a portfolio in WordPress. 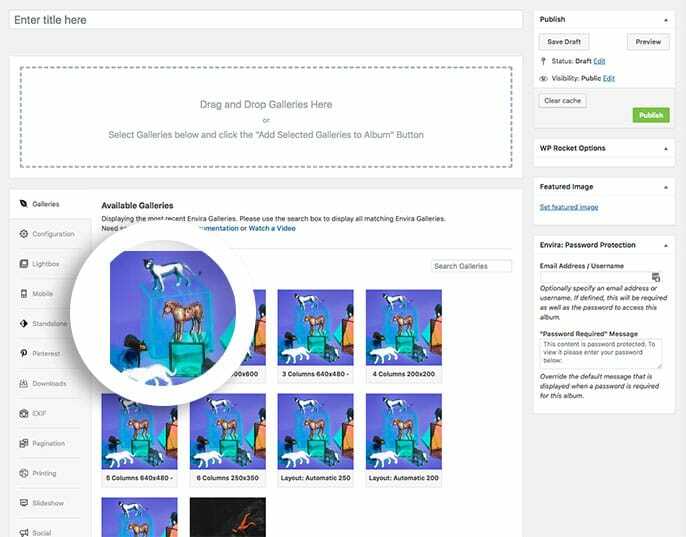 You may also want to check how to add an image widget in WordPress. If I understand well there is no free Envira Gallery , without buying it is impossible to display any portfolio ?